Uptown Grill Blog: Geoff Is Turning 50! September 9th and April 10th may seem like ordinary days to you, but for the Uptown, they have great significance and deserve recognition. Not to mention they have Geoffrey Hejl in common! On September 9th, in 1965, Geoffrey Hejl was born! Meaning that this week he turns the big bad 5-0! Geoff loves trains, Donny and Marie, kittens, the L.A. Dodgers, and old TV shows. He has lived half of a century and is coming up on 50 while still being fabulous. From all of your friends at the Uptown Grill, Happy Birthday Geoff. We hope you take Donny Osmond's best piece of advice and “enjoy the ride!" In an industry that is always changing and a job market that is always seeing unemployment, you hold certain employees near and dear to your heart and consider them part of your family. You notice those who are loyal, committed, and genuinely concerned about the business's well-being and success. The hard-working and passionate employees stand out and you count your blessings when you find one like this. 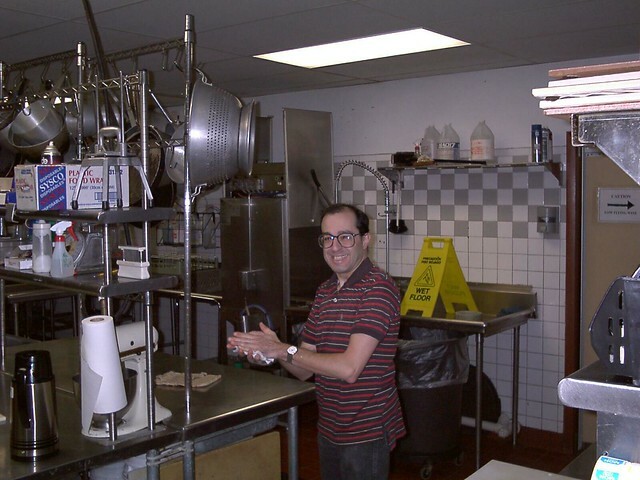 As if a 50th birthday isn't exciting enough, On April 10, 1990, Geoff began working for the Uptown and 25 years later, we are still being entertained by his wit and jokes! We are lucky to have his dedication to his job. Geoff is one of our main daytime janitors and dishwashers. You can always count on him to take other people's shifts and he is one of our best kitchen workers! He is always the first one here and the last to complain. He is kind to everybody and puts all of his energy into doing a job well done! He is a key member of our team and we are lucky to have had him with us since April 10, 1990. Here's hoping we can count on his work ethic and his sense of humor for 25 more years! Cheers to you Geoff and your milestones of 25 and 50 years! Thanks for all of your hard work, loyalty, and dedication. We appreciate you today and everyday!